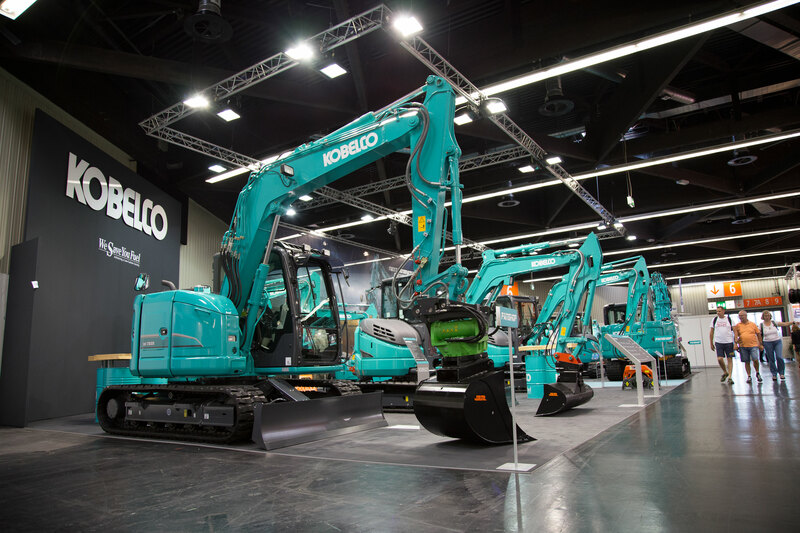 Welcome to GaLaBau 2016 - Kobelco Construction Machinery Europe B.V.
GaLaBau is a leading European exhibition for manufacturers and suppliers from the landscape gardening sector and attracts around 1,300 exhibitors and 66,500 visitors bi-annually. Our mini excavators are ideally suited to this sector, and we’re looking forward to showcasing their credentials at the 22nd running of the event at Nuremberg on 14-17 September. We’ll be showcasing our range of mini excavators at GaLaBau from the SK10SR-3 to our latest Series 6 models. Despite their small size, our Series 6 excavators, including the all-new SK45SRX-6, feature major technological advancements and incorporate some of the same features as our heavier machines, such as our innovative iNDr technology. Our experts will be on hand to explain all the benefits of owning and operating a Kobelco mini excavator – so don’t forget to visit our stand! And while you’re visiting GaLaBau, why not treat yourself to some exclusive Kobelco merchandise? From scale models and apparel to gifts and baby accessories, don’t forget to visit our Fanshop before we sell out! In addition, make sure you enter our free prize draw to win a scale model – we’re having daily draws on our stand but you have to be in it to win it! See a member of Kobelco staff for more information. If you’re unable to attend GaLaBau in person, then you can follow our liveblog here! Watch the videos and stories from our Kobelco experts and don’t forget to tell us what you think on social media using #KobelcoGalabau. Location: Hall 5, stand 5-401.